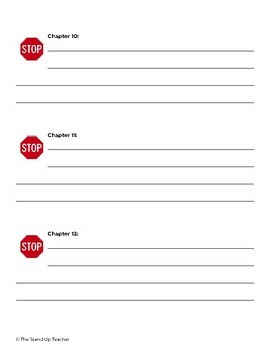 This is a useful reading comprehension strategy adapted from Jennifer Serravallo's Reading Strategies Book. Many different types of readers will benefit from this strategy, including students who need practice summarizing and those who need to slow down. A great alternative to a reading log or other accountability system! *Currently runs to Chapter 30. 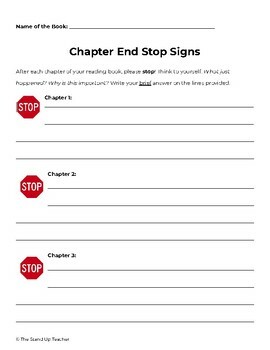 Feel free to message me if you need more chapter stop signs!